The return of the divine feminine has been promoted and energized throughout the conscious community due to the fact that this energy is ressurecting on our Earth. We have existed in a paradigm that has been based predominantly on the masculine energy. However, this energy is the wounded masculine. It is often forgotten that we are not only missing the divine feminine aspect but also the divine masculine. The new reality that is now manifesting is bringing back both the divine feminine and masculine. So the question is what does the divine masculine mean? who is he? and what does an individual who embodies these qualities look like? Furthermore, the divine masculine energy is not for men only. We have existed in a wounded masculine based reality that has been a detriment to our spiritual growth and created a devolution in human consciousness. With the increased vibrations on our planet we have the opportunity to move back into a balanced state. I am writing this note in order to shed light on the polarity of energizing only one aspect of the divine. Since I saw that most outlets speak of the divine feminine... I decided to create 3 webinars as a part of Portal to Ascension's Ascension University Platform. The first one has come and gone and it was called Awakened Sacred Sexuality. 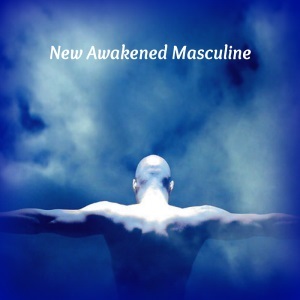 We have 2 more this month (March) - The New Awakened Masculine and The New Awakened Feminine. If you would like to learn more about these online conferences you can do so on our website. And here is the link to watch Awakened Sacred Sexuality Conference for free if it excites you to do so. I hope you can join us for our upcoming events so we can shed light on some ground breaking revelations within our individual sexuality and collective evolution. Please share this with your friends and networks so we can get as many people as possible to set the intention and spread this awareness threwout the planet.